PALEO, KETO, LOW CARB, GLUTEN FREE... WHICH ONE? Confused about what weight loss program works for you? At Solutions with Food, we pride ourselves on offering a range of programs, which can be matched to your specific goals and nutrition needs. 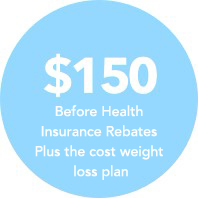 Our weight loss programs are medically sound, without the gimmicks and delivered by an accredited dietitian. During the program, you will be kept accountable with regular monitoring, while learning about healthy eating in correct portions, understanding food labels, choosing healthy snacks, easy to follow recipes and much more. This plan is ideal if you have a short term goal or needing advice and guidance to give you the confidence to move forward. This plan is ideal if you want a better understanding of your eating habits and looking to stay accountable while creating new habits. Struggling with emotional eating? Why not include our mindful eating plan. This program teaches you how to form a healthy and enjoyable relationship with food, while nourishing your body with foods you enjoy.